I recently purchased some skate roller skis. I have used them a few times and getting the hang of them, except for my longer down hills I tend to have tracking issues. I don't normally see that on my classic rollers (V2s). So I'm speculating that the shorter skis/thinner wheels in combination with my "knock knees" kind of exasperate the problem. Right ski tends to pull right on the down hills and but having said that I am braking pretty often going down hill. Since the braking is a telemark type stance maybe if I had a closer stance that would probably help. I did try to make a slight adjustment on the front wheel -- adjusting it left. Anyhow always good to have fun with a new toy and happy with the gear as a whole. Thanks for the advice Friends. Pat wrote: I recently purchased some skate roller skis. Thanks for the advice Friends. You are welcome, Pat, as always. What brand and model did you buy? Have you checked their tracking on a flat road? Woodski is the manufacturer -- seem to be nice quality, light weight, and have a functional brake and slow wheels. I haven't really tried them on straight and flat terrain. That certainly makes sense to do that. I did ski around in the parking lot doing a lot of twists and turns and they felt OK there. Just on the down hills where I needed to control the speed with the brake that I would start to track right. Pat wrote: Woodski is the manufacturer -- seem to be nice quality, light weight, and have a functional brake and slow wheels. Birch is a very good shaft material, even solid and unlaminated, like I use it. Pat wrote: I haven't really tried them on straight and flat terrain. That certainly makes sense to do that. Try to find a piece of flat and smooth asphalt with a straight road marking of at least 10 m.
Yep -- those are the skis. Same type of forks I'm having tracking issues with on Jenex V2s. Seems they bend easily when the fork is basically flat and without much resistance to sideways movement. Not bend by much, but a little is enough for the tracking to go off. According to rollerski tests I've read (and even snow skis), tracking is really a big part of what separates the good from the bad, and those that do well here typically have this type of fork. I'm really eager to try a pair known for good tracking as I've yet to do proper V2 style (double pole skating) rollerskiing since I've no confidence in the skis. Neuro wrote: Same type of forks I'm having tracking issues with on Jenex V2s. Are not your forks thinner than those on Woodski Skate? Neuro wrote: According to rollerski tests I've read (and even snow skis), tracking is really a big part of what separates the good from the bad, and those that do well here typically have this type of fork. Do you have a link to such a test? Neuro wrote: I'm really eager to try a pair known for good tracking as I've yet to do proper V2 style (double pole skating) rollerskiing since I've no confidence in the skis. Yes the Jenex forks look to be thinner, but as the Woodskis already have tracking issues I would guess it's because of this design. Although not a specialist and limited selection, Oslo Sportslager is the best shop in town, but never heard they have skis to try unfortunately. I would likely have to get new skis to test this out, but it's anyway been on my mind. Neuro wrote: Yes the Jenex forks look to be thinner, but as the Woodskis already have tracking issues I would guess it's because of this design. Tracking issues can have several causes, so it is not always about the forks. 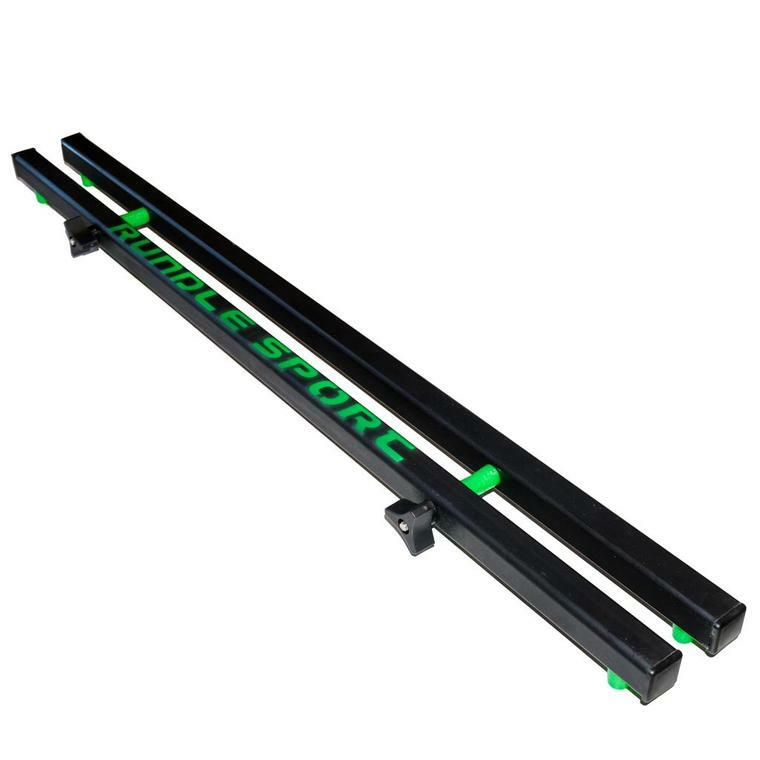 Have you checked how much your roller skis deviate from a straight line of say 10 m? Oslo Sportslager has had demos where one can try out their roller skis. Last edited by Magnus Johansson on Sat Oct 06, 2018 11:54 am, edited 1 time in total. Thanks for the tip, I've sent them a mail if it's possible to demo the skis. Neuro wrote: Thanks for the tip, I've sent them a mail if it's possible to demo the skis. You're welcome. I believe they have special official events with roller ski demos in the same way e.g. Alewalds has here in Sweden, but maybe they can arrange something just for you. I would especially recommend you to test IDT Skate Elite. I've already been at their free roller ski course which was great so I guess lending out skis is not that far of a stretch, I just never thought about it. 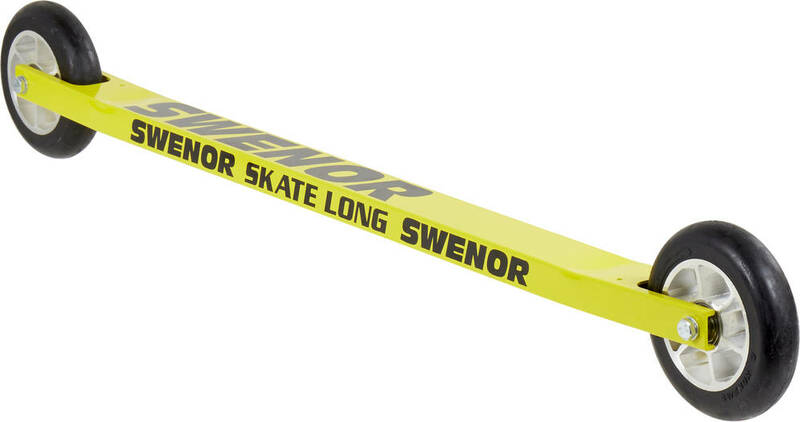 Yes, definitely the IDT skate is on the short list together with the Swenor. With the new type brake that attaches to the boot these skis are now an option since I'm dependent on having a brake being in the middle of the city with lots of people and dogs about. Pat wrote: Yep -- those are the skis. Pat, have you had the opportunity to test how much your roller skis fail in tracking? Yeah I just got back from using them. It seems to me that after a few double pole pushes to get going on a relatively flat surface, that I make a slow right hand turn -- well before going 10meters or so. Actually seems that both skis want to go that way. I can skate, turn, stop, maneuver just fine. Double poling alone I have to keep the feet moving to correct. I wonder that knock kneed a bit, unequal leg lengths a bit, are enough to make any skis turn -- which describes me. I do like the Woodskis and think they are well made and fun to use. Look pretty cool too. They are sold out but I suppose it's possible to make something similar oneself. Best alignment solution is probably something using lasers, but not sure how that would work.